In making a Will, you control who gets your assets after death, who controls distributing them, and when they are distributed. Otherwise the Ontario Succession Law Reform Act will dictate what happens to your estate. This can be costly and cause strife among your surviving family members. You can also state in your Will your preference regarding custody of your children. 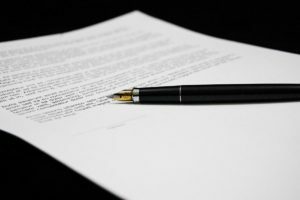 Signing a Will is highly recommended and it is crucial that it be done correctly to ensure validity. Both are highly recommended to avoid otherwise costly court applications by family members for guardianship should you become incapacitated, and further, to avoid the Ontario Office of the Public Guardian and Trustee having to make decisions for you. This is a legal document in which a person (the Grantor) gives someone else (the Attorney) the legal authority to make decisions about the Grantor’s assets and finances. 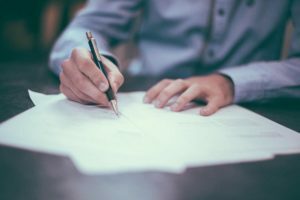 The power of attorney is called “continuing” because it can be used after the person who gave it is no longer mentally capable of making financial decisions him or herself. It is important to know that this document can take effect immediately, unless otherwise stipulated. This is a legal document in which one person (the Donor) gives another person (the Attorney) the authority to make personal care decisions on the Donor’s behalf if they become mentally incapable. Personal care includes health care, nutrition, shelter, clothing, hygiene, and safety. Drafting and execution of these documents is available through Graeme Fraser’s firm, and he would be pleased to answer your questions and to advise further on the information required. Frequently, Wills and Powers of Attorney are drafted and executed together by a couple, which is also the most cost effective means of achieving the peace of mind that comes with their completion. You and your spouse have decided to separate? Got Questions About Wills & Power of Attorney?